“A picture is worth a thousand words,” goes the saying. As such, the evolution of humanity is tracked and studied by the drawings and pictures created by generations who sought to depict their world, and the accuracy and frequency of the images mark how well we were and are able to describe and understand the phenomena of the world. 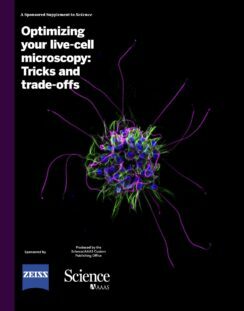 Over the last two centuries the rapid progression of innovative microscopy techniques has allowed unprecedented visualization and description of microscopic phenomena, making a light microscope an indispensable tool in every biological or medical laboratory. As the light microscope has developed, it has given rise to hundreds of different imaging techniques, from brightfield and differential interference contrast to modern fluorescence and superresolution microscopy, which all have one thing in common: They are based on light and its interaction with the specimen. Nowadays light microscopes cannot match the resolution of electron microscopes or the penetration of X-ray microscopes, but they remain unchallenged when it comes to the imaging of dynamic processes in living cells, tissues, and organisms – observing life as it happens. Traditionally, light microscopes were divided into two distinct groups: widefield microscopes, which can acquire an entire image in a single exposure, and laser scanning microscopes, that image a specimen sequentially, point-by-point. While the latter produce crisper images of thick specimens, the former record images much faster and with less damage to the specimen. A still from an 11-hour time lapse of Drosophila melanogaster embryogenesis imaged with Airyscan in Fast Mode. Since Carl Zeiss, Ernst Abbe, and Otto Schott laid the foundations of modern microscopy 170 years ago, the company they founded delivered most of the radical microscope innovations, from the simple achromatic and apochromatic lenses of the 19th century, to the complex imaging instruments of today. The latest innovation from ZEISS is a novel confocal detector named Airyscan. It blurs the traditional divide between widefield and laser scanning microscopes and offers users the best of both worlds: high-speed, gentle imaging combined with superb resolution and contrast, capabilities unmatched by standard confocal microscopes. 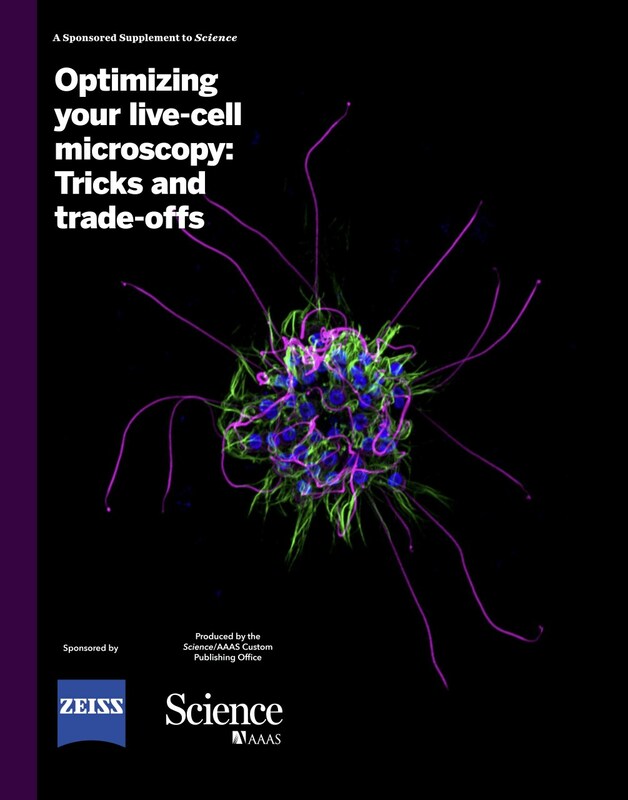 We hope you will find this collection of publications and peer-reviewed articles interesting and inspiring, an example of how innovative light microscopy continues to enable researchers to push the boundaries of human knowledge. We believe that modern light microscopy can make a difference in your research as well. We are excited to contribute to your success.